Many people start their day with pains and aches around the neck, back, and shoulders. Some of them fail to realize that this may be due to several factors, including the current pillow they are using. The wrong pillow can cause a lot of damage to the spine and other delicate parts of the body while you sleep. It can also put too much pressure on the neck region. Switching to a quality body pillow may be the solution to the problem. The body pillow offers a comfortable and convenient option that is good for the alignment of the neck. This can minimize the risk of waking up with pains and aches around the shoulder and neck areas. Since it is made up of memory foam materials, it will conform easily to the shape of your body. Thus, your head will melt directly into it each time you lay down on it at night. One of the reasons why you don’t sleep well might be the material used to encase your pillow. Using zipped up casing will protect the user from any unwanted material sticking out of the pillow. These casings also protect allergy sufferers from any dust mites hiding in the pillow. Others prefer using a regular old pillowcase (made with materials like cotton or flannel) to cover their pillows. Moisture also disrupts adequate sleep. 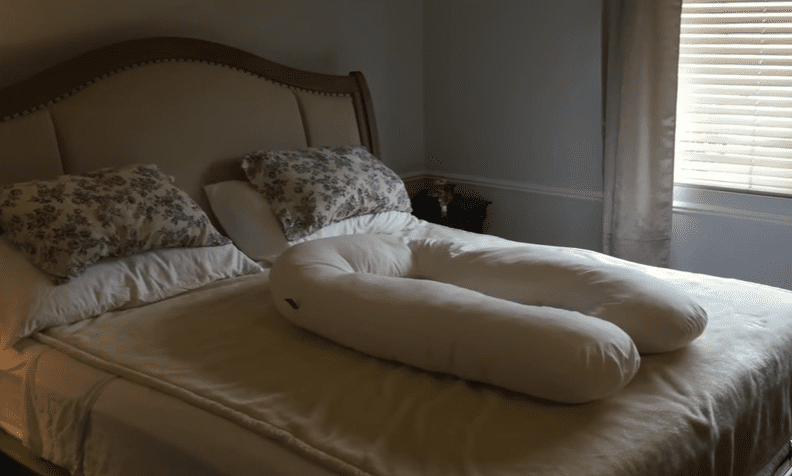 The body pillow prevents mildew and moisture from disrupting your sleep. This can be a major concern for those people living in a region with high humidity. That moisture attracts germs and bacteria and can cause acne and other problems you didn’t bargain for. This will make your skin look healthier and feel better than it has ever been. Many body pillows available on the market come in different sizes and shapes. When buying a body pillow, we recommend that you choose one that takes the shape of your head as well as provide support for your neck region. This way, you will achieve utmost comfort that is required for a better sleep even if your turn and flip as you sleep. As at now, if you discover that you are not getting sufficient sleep it may be time to change pillows so you can achieve better sleep. You will realize that you can now wake up refreshed, healthier, and ready to take up the next day’s challenge. Sleeping better will benefit both your body and mind. Changing to a new body pillow may be what you need to get things in order (sleeping better). Body pillows will form and contour to the shape of your body when you lay on it. Instead of you adjusting it, it forms to your body, making it function tremendously. In fact, most people notice surprising improvements the first night.